Why Would I Want a Postpartum Doula? My first exposure to postpartum doula services was when my second daughter was born. 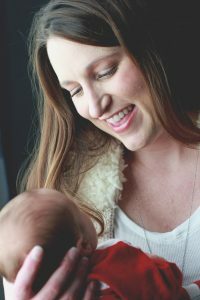 We had a 22 month old and a newborn, so my girlfriend was nice enough to tell me about the lifesaving powers of a postpartum doula! She was invaluable to me during that transition into being a mom of TWO! And not just any two… two in diapers… two breastfeeding… two in need of their mom All. The. Time. Those first few weeks (ok, months) were overwhelming to say the least. Our doula was such an enormous help. Can Doulas Help at Night? Fast forward a few years and I am now a Postpartum Doula myself! I love supporting new families in this way. Something I offer now, that I did not know about when I had my girls, is overnight care (for the record, HAD I known about this service I would have used it and LOVED it!) Sometimes clients use a combination of day time and night time help, but sometimes they can manage day times on their own if they can Just. Get. Some. Sleep. Sleep is so important in general, but especially when your body is recovering from birth, recovering from surgery, or making breastmilk. A Postpartum Doula can be so helpful in the night time hours for exhausted parents. What Does a Doula do at Night? Does Raising a Newborn Have to be so Hard? Of course, it’s different when it’s not your own baby. When you know things now that you didn’t know then (how to get babies to sleep longer stretches perhaps?) When you can be the calm presence in the room because you know it’s all going to work out. When you can go home and catch up on sleep after a night up with a baby. We only do the best we can with the information we have at the time right? Well, let me tell you, I have so much more information (and perspective!) than when I was raising my babies. Not barely-make-it-through, ragged, exhausted, and second guessing every choice they’ve made. No, when you experience the support of a postpartum doula, you can make it through those first weeks well-rested, well-fed, and unconditionally supported in your parenting choices.